The FTD® Peach Waterfall™ Bouquet has an exquisite style that is both sophisticated and modern. 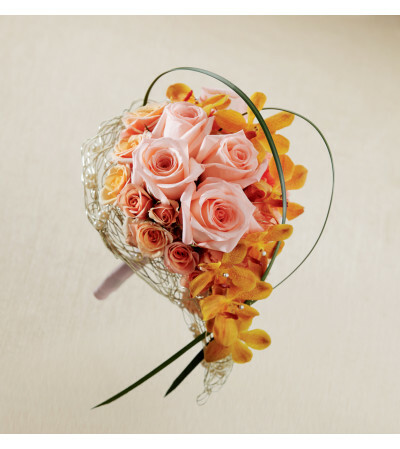 Peach roses take centerstage to this tear drop shaped arrangement, as they are surrounded by peach and orange carnations, peach spray roes and gold mokara orchids. 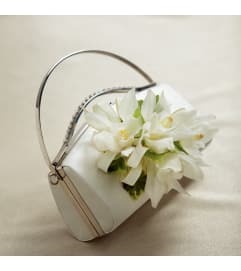 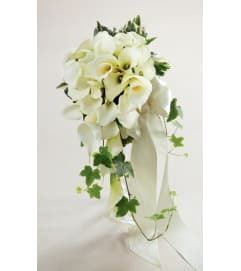 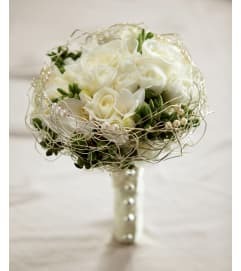 Accented with lily grass blades and seated in a gold metallic wire collar accented with ivory pearls, this bouquet has unforgettable charm that will give your overall bridal look the finishing touch.